We are seeking a Geocache Volunteer to coordinate history-related geocaching in Dakota County. DCHS would like to use this web page to publish guidelines and a listing of caches at historically significant sites. If you are not familiar with geocaching please read excerpts from the Wikipedia entry below and view this Geocaching Video produced by Wisconsin Public Television. Also visit the website and explore the free app from Geocache.com. Contact us if you would like to get involved with this exciting, new project! A typical cache is a small waterproof container containing a logbook and sometimes a pen or pencil. The geocacher enters the date they found it and signs it with their established code name, in order to prove that they found it. After signing the log, the cache must be placed back exactly where the person found it. Larger containers such as plastic storage containers (Tupperware or similar) or ammunition boxes can also contain items for trading, such as toys or trinkets, usually of more sentimental worth than financial. Geocache listing websites have their own guidelines for acceptable geocache publications. Government agencies and others responsible for public use of land often publish guidelines for geocaching, and a "Geocacher's Creed" posted on the Internet asks participants to "avoid causing disruptions or public alarm". Generally accepted rules are to not endanger others, to minimize the impact on nature, to respect private property, and to avoid public alarm. Geocaching was originally similar to the 160-year-old game letterboxing, which uses clues and references to landmarks embedded in stories. 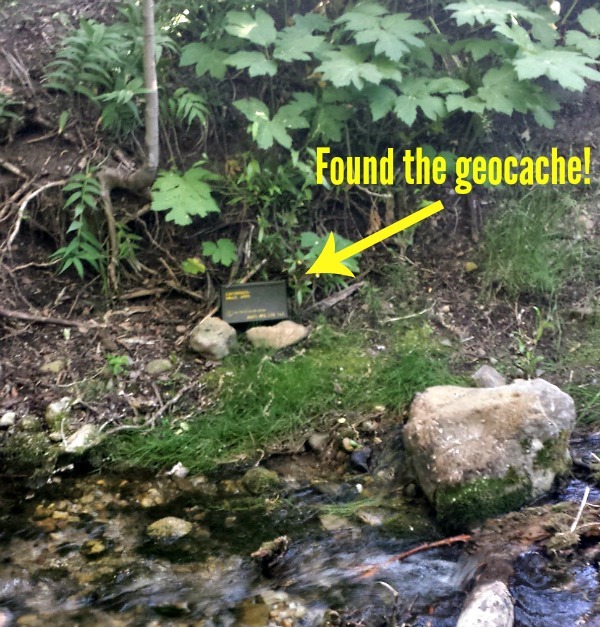 Geocaching was conceived shortly after the removal of Selective Availability from the Global Positioning System on May 2, 2000, because the improved accuracy of the system allowed for a small container to be specifically placed and located.